Chris Roberts, the creator of the legendary space sims Privateer and Wing Commander has returned unexpectedly, with a new game announcement for pc. 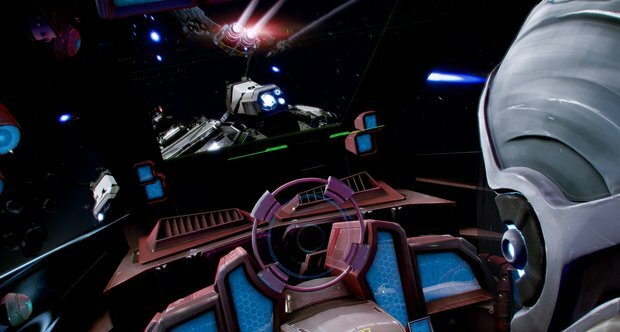 Chris Roberts' claim to fame has been the space simulator games Privateer and Wing Commander, but for the past ten years, he hasn't been very involved in the games industry. Now however, he is back, and ready to reveal his newest game; Star Citizen. Once more, Roberts is diving into the world of space sims, and he is hoping to create "the game [he] always wanted to build"; a game in which you can save the galaxy or just see where the universe takes you. The game will partially feature a single player campaign, which is focused and has a storyline with branching paths, much like Wing Commander did. During this part, you fly missions and go where the story takes you, but once your tour of duty is complete, or if you decide never to part take in it at all, the game opens up into a sandbox environment and lets you explore the universe at your leisure and do as you please. The game will feature a dynamically updating universe, which unlike games with yearly expansions or updates, will have a team of people constantly working on adding content. The physics engine of the game is rather realistic, making use of thrusters to move your ship just as a real space ship would. Don't worry though, the ships don't behave like a space shuttle; the ship's computer interprets your commands and controls the thrusters automatically, in order to render a flying experience similar to that of a modern day fighter jet. However, the thrusters are indeed in a physics simulation, and if one gets damaged in a dog fight, it will effect the handling of your ship. There still aren't all too many details on other features in the game, but among the known features are that Star Citizen will feature 1st person flying, 3rd person fleet control as well as on foot segments on various ships. Star Citizen is being crowd funded, and you can pledge to back it from his website: http://starcitizen.robertsspaceindustries.com/. All the backers will receive a version of the game next year, though the final release most likely won't be out until two years from now. The develoipers are currently focusing on a pc version only. Lenovo plans to launch LePad in U.S.